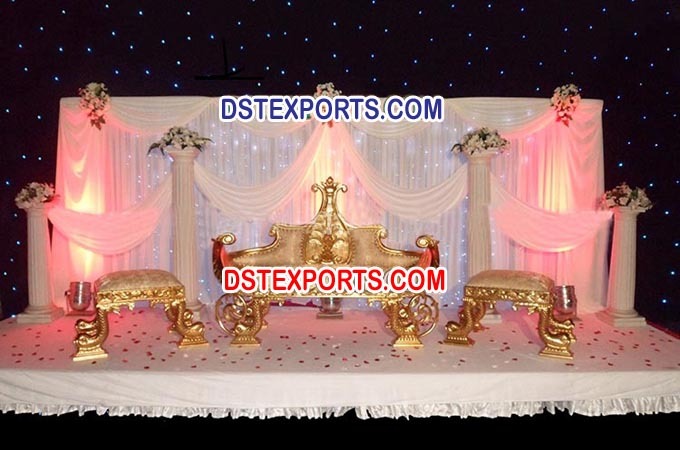 We are manufacturer and exporter of all type asian wedding decorated furnitures sofa sets chaises.This is latest design sofa set. This is italian sofa with king size long chairs.These furnitures are made of treated wood with brass metal hand carving. These furnitures are ready available.